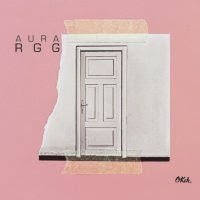 It is the seventh album by the fabulous Polish Jazz piano trio RGG and their second release following the dramatic replacement of their piano player, when the young pianist Łukasz Ojdana joined the ranks of the founding members: bassist Maciej Garbowski and drummer Krzysztof Gradziuk. The album presents fourteen pieces, five of which were composed by Ojdana and three by Garbowski. The remaining six pieces are various Jazz, Pop and World Music compositions originating from external sources. The album was recorded again at the excellent Studio Tokarnia and engineered by Jan Smoczynski, with spectacular sonic results. The music of RGG has been, since the very first recording, always in a state of continuous metamorphosis, perhaps more vital and noticeable than similar processes taking place in the works of other Polish Jazz ensembles. This album is no different and marks some giant steps towards creating a new Jazz aesthetic, which combines the tradition with modernism, freedom of expression and above all openness. The crucial factor is the decision to expand the scope of the music beyond the self composed material by the trio members, as well as present a larger number of relatively concise pieces, enabling a much wider scope of musical influences, stylistic variety and diversity. Of course the trio's ability to perform these pieces in such an exquisite way is their primary achievement. The level of mutual support, respect and common bonding present between these three musicians is almost unprecedented. Reinforced by their individual talents, good taste and aesthetic vision, the overall power of expression demonstrated by the trio is simply overwhelming. With the international release of this album RGG have a chance to demonstrate that they are not only the best Polish Jazz piano trio, but also that they have but a few competitors elsewhere. The most astonishing effect of this music is the fact, that although large parts of it are quite difficult for an average listener, the trio manages to make the music sound inviting and even embracing. This of course means that music does not have to lower its aesthetic or intellectual level and be brutally whored in order to be accessible. This rare ability to remain uncompromisingly aloft musically and yet widely appreciated is precious. There is no doubt that this album immediately deserves the "classic" status, being placed on the pedestal of Polish Jazz recorded achievements. That means that it will sound as good as it does now for decades to come, which just a few albums are able to do, challenged by the passing of time. My wholehearted thanks to you, Gentlemen. Side Note: I am happy to have a tiny personal input in this album's release. My enthusiastic reviews of the trio's recorded output were part of the decision making process resulting in signing a contract with a major label and than I helped a bit to untangle some copyright complications, which postponed the release date for a while. All done for a good cause! 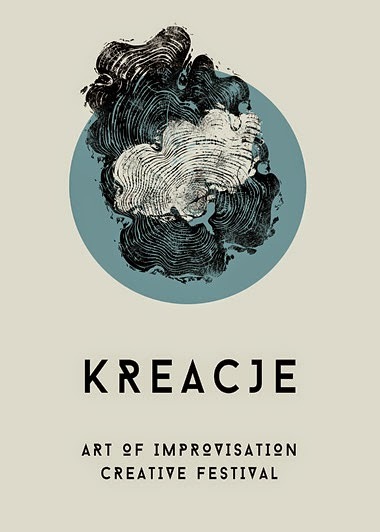 Zbliża się 4. edycja ART OF IMPROVISATION CREATIVE FESTIVAL (19-21 czerwca 2015 r.), ogłaszamy zatem nabór dla artystów improwizujących! Jeśli improwizacja to twoja ulubiona metoda twórcza, wyślij zgłoszenie do Centrum Kultury Agora! Termin zgłoszeń: 15 maja 2015. Konkurs KREACJE PRZEGLĄD/ZDERZENIA skierowany jest do młodych artystów (18-35 lat), zarówno amatorów, jak i profesjonalistów – solistów i zespołów, którzy prezentują szeroko rozumianą sztukę improwizowaną: muzykę, taniec, działania teatralne czy inne sztuki performatywne. Nagroda główna festiwalu to 2000 zł! ART OF IMPROVISATION to międzynarodowy, interdyscyplinarny festiwal poświęcony sztuce improwizacyjnej. Gośćmi tegorocznej edycji festiwalu będą m. in. : uznany brytyjski saksofonista John Butcher w trio z australijskim perkusistą Tonym Buckiem znanym m. in. z zespołu The Necks, oraz berlińską pianistką Magdą Mayas; Mikołaj Trzaska IRCHA CLARINET QUARTET z Wacławem Zimplem, Pawłem Szamburskim i Michałem Górczyńskim; austriackie eksperymentalne trio Trapist w składzie: Martin Brandlmayer i Martin Siewert (muzycy Radian) oraz Christian Weber, międzynarodowy muzyczno-taneczny kwartet Help Me To Crash, międzynarodowe trio wybitnego amerykańskiego perkusisty Michaela Zeranga z saksofonistą Tobiasem Deliusem i kontrabasistą Ksawerym Wójcińskim. Czeka nas także koncert zeszłorocznych laureatów Kreacji/Zderzeń – Sławka Pezdy i Thomasa Kolarczyka w trio z perkusistą Kubą Janickim. "Riverloam" is such an evocative word. It makes me think of fungi on a riverbank, colorful mushrooms pushing up through black earth, tiny bright surrogates that hide the true extent of the knotted mycelium whose countless nerve-like connections stretch in all directions just below the surface. Maybe this is a decent metaphor for Riverloam Trio, too - and all improvised music - this idea that perhaps what we’re hearing is the dense, unseen mycelium, the untraceable web of connections that binds musicians on a stage or in a studio. Some vital thing that’s bigger and more deeply rooted than the bodies we see standing before us. Plus, there’s Mikołaj Trzaska’s rough-hewn, earthy tones. Trzaska has been an important voice in the modern Polish scene since the early 90s. In recent years, he’s branched out significantly, playing with a number of international musicians and releasing improvised music on his label, Kilogram Records. Here he teams up with two Londoners: bassist Olie Brice and the ubiquitous drummer Mark Sanders. Riverloam Trio features five long improvisations that stretch across two LPs. Trzaska trades off between his woozy alto wail and some quieter, brooding bass clarinet work, clearly inspired by his rhythm section. And inspiring it is. Sanders can make anyone sound good, and Brice plays in an almost vertical manner, seemingly building his ideas upward rather than simply laying them out. There’s a wonderful logic to his lines, even in heated exchanges. "Ostrich Season" gives him a central role, his bass thundering through the low simmer of Trzaska’s clarinet. There’s a clear rapport among the trio, and Trzaska and Brice in particular aren’t afraid to circle back on an idea if it seems there’s something more to be extracted. "Riverloam Trio" is one of those great albums that feels like it was made for vinyl. The playing keeps pace with the best of the modern crowd, but there’s something aching in Trzaska’s vibrato - even from the first moments of "Riverloam" - that hearkens to the early days of this music, that almost necessitates the physicality of handling a record, the ritual of flipping wax and setting needles. A time when maybe we were a little more emotionally connected to music, because the act of listening was a bit more purposeful than overloaded iPods and hard drives allow. As can be said of many NoBusiness releases, "Riverloam Trio" is worth the investment. It’s the fire music of our time—maybe now more like glowing embers, but still remembering something of the flames that gave rise to them. 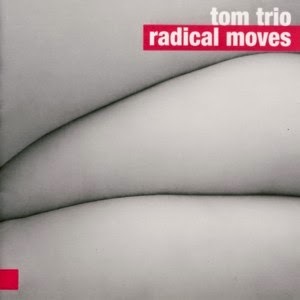 This is the second album by the Tom Trio, led by Polish (resident in Denmark) Jazz trumpeter Tomasz Dąbrowski and including Danish bassist Nils Bo Davidsen and drummer Anders Mogensen. The music consists of ten original compositions, all by Dabrowski, and it was recorded at the fabulous Studio Tokarnia and engineered by Jan Smoczynski, with excellent sonic results. Contrary to the album's ominous title, this album does not offer any radical developments as such, and is consistent with the path Dąbrowski follows since a few years to achieve his personal voice as a trumpeter and composer, which has been quite remarkable. There is no doubt that he is today not only one of the top Polish Jazz trumpeters, but also one of top European trumpeters, a position he earned by numerous recordings in stylistically diverse setups, always delivering a top notch contribution. Musically Dąbrowski seems to be most comfortable in the "organized free" environment, when his statements have a solid melodic/harmonic basis underneath, which allows him to stretch his improvisations with flare and passion. The decision to present his music in the intimate trio setting is probably motivated by the fact that the trio allows the most concise ensemble solution enabling the closest interplay possible between the participants. This music is totally dependent on mutual exchange and support and would fail to achieve anything if such complete synthesis did not happen. Fortunately it does happen, from start to finish, elevating the music to a highly aesthetic plane. In spite of the nakedness of the trio setting, the overall effect of the trio is so eventful and intense, that it creates an illusion of a much larger ensemble at work. The role of the rhythm section in this type of music is radically different from the traditional position, which is to support the leader harmonically and rhythmically without getting involved with his solo parts. The music presented here is fully co-created by all three musicians, on equal footing. Dąbrowski is naturally the most distinctive voice, playing the lead instrument, but everything that is happening in parallel to his playing as equally important each and very step of the way. People familiar with Dąbrowski's music are used by now to the incredible high standards he sets for himself, pushing them ever forward. This album is another step in the right direction, displaying signs of maturity and reflection rather than youthful enthusiasm. This is perhaps the most contemplative music he ever attempted, offering new vistas of his inner self as composer and performer. Of course music of such complexity and emotional weight requires attentive and often repetitive listening to be fully absorbed and appreciated. Connoisseurs of modern Free Form, but coherent Jazz will find this music fully and beautifully rewarding. 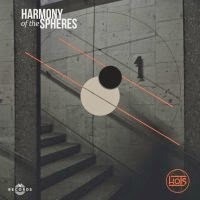 This is the debut eponymous album by the young Polish Jazz quartet Harmony Of The Spheres (a.k.a. HoTS), led by guitarist/composer Mikołaj Poncyljusz, which also includes trumpeter Radek Nowak, bassist Adam Prokopowicz and drummer Jakub Kinsner. The album presents eight original compositions, all by the leader. There is no doubt that HoTS emerges as a fresh voice on the local melodic mainstream scene, which happens relatively rarely. Their minimalistic, reserved and very "cool" approach is instantly recognizable and bears a certain "retro" approach reminiscent of early European Jazz. The music is lyrical and melodic, with the melody lines clearly stated in the heads of all the tracks, using typically the trumpet as the leading melodic voice. The guitar serves mostly as the harmonic accompaniment behind the trumpet's solo work, when not soloing of course. The rhythm section serves as the backbone of the music, keeping excellent time but staying mostly in a respectful background. The pulsating bass lines are kept well on the level with the soloists, but the drums are (it seems) kept down in the mix and are often barely audible in the overall sound, which creates a very spacey and open ambience, with lost of breathing air, which serves the music perfectly. The trumpet is definitely placed in the centre of the listener's attention and gets most of the limelight. Nowak plays some very impressive passages for sure and his overall performance is formidable, especially in view of his age. Poncyljusz emerges mainly as a composer, although his guitar work is also without reproach. The sound of the guitar uses too much reverb, which can be unnerving at times, but obviously the band is still seeking its definitive sound and is doing quite well so far. This is definitely a formidable debut and HoTS will slowly gain a respected position and the European Jazz scene once they hit the clubs and festivals circuit and continue to release albums of such quality as this one. Wholeheartedly recommended of course! This is the third and last part in a triptych of duo recordings by Polish drummer/composer Rafal Gorzycki (see his duo albums with Sebastian Gruchot and Kamil Pater), this time with British guitarist/composer Jonathan Dobie. 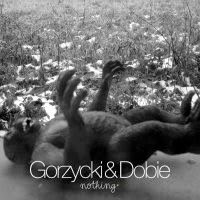 The album presents seven original pieces co-composed by Gorzycki and Dobie. In many respects this duo album is a culmination of Gorzycki's modus operandi, which presents a minimalistic and fragmented approach to melody and harmony, which often hints at some musical statements rather then expressing them in full, leaving it to the listener to connect the dots. Dobie is obviously an ideal partner and cohort in such circumstances, playing short fragments of rapid guitar fire, which reminds early improvising electric guitarists such as John McLaughlin or Jimmy Hendrix and utilizing ancient fuzz and other sound devices. This retro sound combined with the modern approach creates an absolute stunning effect. Of course, as in every other duo album, the interplay between the two partners is the essential ingredient of the entire project. Gorzycki's seemingly endless palette of drums and percussion instruments and Dobie's guitar pyrotechnics are perfectly suited for each other and their dialogs reach telepathic levels. 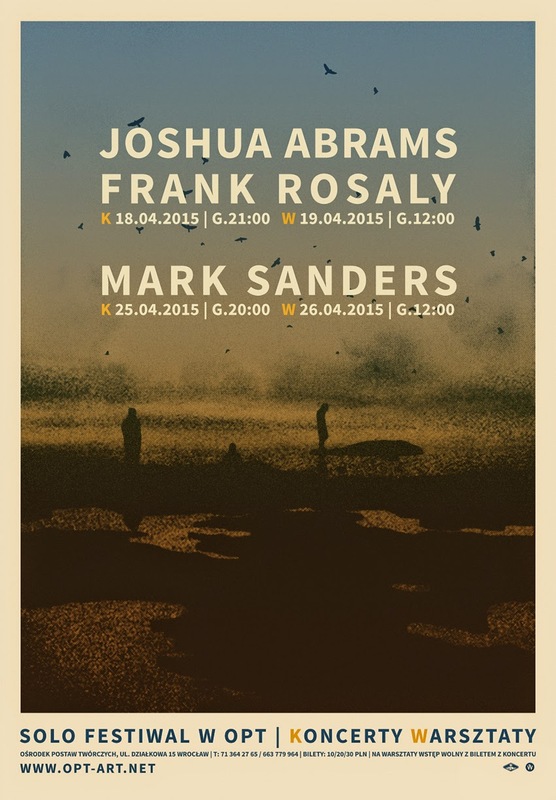 Premiera płyty formacji Piotr Budniak Essential Group 23.04.2015 !!! 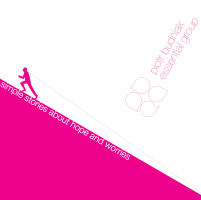 „Simple Stories About Hope And Worries” to debiutancki album zespołu Piotr Budniak Essential Group, którego liderem jest wielokrotnie nagradzany na festiwalach jazzowych perkusista, były członek popularnego zespołu LemON, który zrezygnował z showbiznesu dla realizacji celów i idei, jakie nosi w sercu. Niewątpliwie taką ideą jest niniejsza płyta. Album ten to wyłącznie autorskie kompozycje z pogranicza jazzu, world music oraz indie. To swoiste muzyczne historie o życiu balansującym na krawędzi spełnionych marzeń i wielkich rozczarowań, odważnego dążenia do celu i krycia się w cieniu własnych lęków. Historie o wewnętrznych walkach, jakie każdego dnia toczymy sami ze sobą. Na płycie oprócz lidera zagrali muzycy, którzy mimo stosunkowo młodego wieku mają na swoim koncie ogromne sukcesy - czy to zwycięstwa na prestiżowych festiwalach w Polsce i za granicą, czy współpracę z takimi legendami jak m.in. Randy Brecker, Janusz Muniak, Zbigniew Namysłowski. Gościnnie zaśpiewał urzekający wrażliwością, znany z The Voice Of Poland - Michał Sobierajski, który występował wspólnie z Justyną Steczkowską. Oficjalna premiera płyty odbędzie się 23 kwietnia w krakowskim klubie Harris Piano Jazz Bar. W ramach drugiej edycji Solo Festiwal, organizowanego przez Kubę Suchara w Ośrodku Postaw Twórczych we Wrocławiu, odbędą się trzy kolejne występy z ośmiu zaplanowanych koncertów. Już 18 kwietnia zobaczymy dwóch wirtuozów ze sceny chicagowskiej - basistę Joshua Abramsa i perkusistę Franka Rosaly. Tydzień później zaś zagra brytyjski perkusista Mark Sanders. Joshua Abrams to multiinstrumentalista, fenomenalny kompozytor i niezwykle uzdolniony aranżer. Znanychicagowskiej scenie głównie jako wirtuoz kontrabasu, który od wielu lat nieustannie udziela się w niezliczonej ilości zespołów. Jego bardzo oryginalne podejście do gry i kompozycji stawia go w czołówce najbardziej nowoczesnych i kreatywnych twórców, którzy mimo eksperymentu, jaki uprawiają, nie zapominają o ogromnym dorobku i tradycjach muzycznych nie tylko amerykańskich, jak i europejskich czy afrykańskich. Twórca projektu Natural Information Society, który gościł już w Ośrodku Postaw Twórczych w 2013 roku. Wówczas to obok Abramsa i Lisy Alvorado stanęli na scenie Artur Majewski i Kuba Suchar (Mikrokolektyw). Tym razem 18 kwietnia jego solowy występ będziemy mogli usłyszeć i zobaczyć tego samego dnia, co koncert Franka Rosaly. Ten amerykański perkusista od 2001 roku zasila szeregi muzyków chicagowskich, niestrudzenie uczestnicząc w kilkudziesięciu zespołach z kręgu muzyki improwizowanej, jazzu, sceny eksperymentalnej czy rockowej. Rosaly w Chicago jest znany jako fenomenalnie zdolny i płodny nie tylko perkusista, ale i kompozytor czy aranżer. Mimo że najczęściej możemy go usłyszeć w przestrzeni jazzu i muzyki eksperymentalnej, to jego portorykańskie korzenie dają o sobie znać w autorskim projekcie o nazwie ¡Todos de Pie! Podczas koncertu w OPT bez wątpienia będziemy mogli się o tym przekonać. Joshua Abrams i Frank Rosaly zadeklarowali, że połączą siły i po występach solowych zagrają w duecie. Zapowiada się niezwykle ciekawa muzyczna uczta. W kolejną sobotę, tj. 25 kwietnia Solo Festiwal przedstawi kolejnego wirtuoza – jednego z najbardziej aktywnych i cenionych perkusistów brytyjskiej sceny jazzowej - Marka Sandersa. To muzyk, którego gigantyczny dorobek muzyczny świadczy o nieprawdopodobnej pracowitości, podpartej muzyczną świadomością oraz wirtuozerią. W efekcie daje to mieszankę iście wybuchową. Sanders stale współpracuje z największymi muzykami naszych czasów jak Evan Parker, Barry Guy, Tim Berne, Mark Dresser, Bill Laswell, Derek Bailey, Phil Wachsmann i wielu innych. Nieskończona wręcz lista muzyków, z którymi gra, świadczyć może, że podczas II edycji Solo Festiwalu w OPT jego solowy występ będzie prawdziwą perełką. Podczas swoich niezwykle kreatywnych występów solowych prezentuje szalenie bogaty język, z którego jest z resztą dobrze znany muzykom i publiczności całego świata. Podobnie jak podczas poprzednich edycji Solo Festiwal w ramach koncertów odbywają się warsztaty muzyczne, prowadzone przez zaproszonych muzyków. 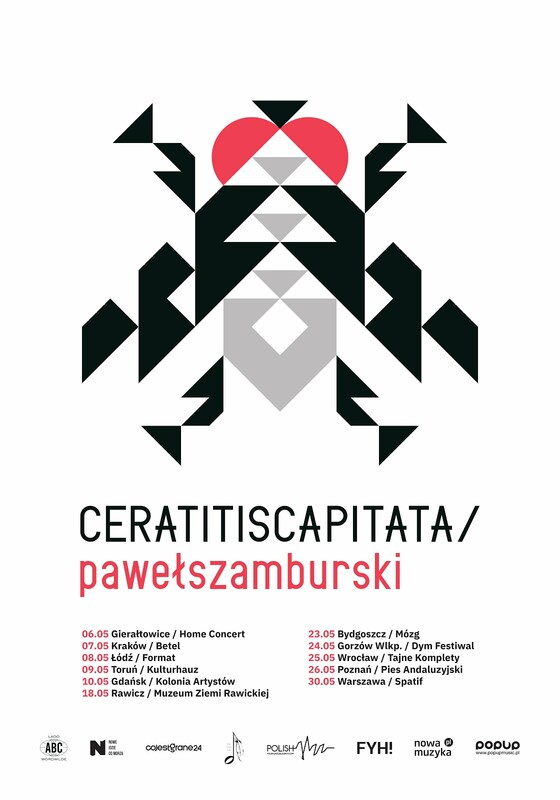 Solo Festiwal w OPT, którego pomysłodawcą i organizatorem jest Kuba Suchar, to cykl koncertów oraz warsztatów, w czasie których można spotkać się ze znakomitymi muzykami i artystami z obszaru muzyki improwizowanej. W dotychczasowych edycjach festiwalu wystąpili: Axel Dörner, Noël Akechoté, Peter Brötzmann, Jason Adasiewicz, Steve Noble, Rob Mazurek, Angelica Sanchez, Matthew Lux, John Herndon, Zlatko Kaučič, Noritaka Tanaka, Jason Ajemian, Anna Kaluza, Kazuhisa Uchihashi. Intensywny, 3-dniowy kurs Adama Barucha w Instytucie Jazzu, Katowice, 20 - 22 kwietnia. 3-dniowe seminarium dotyczyć będzie różnych aspektów związanych z funkcjonowaniem przemysłu muzycznego oraz umiejętnościami niezbędnymi, by przetrwać w branży muzycznej. Kurs składa się z kilku wykładów/sesji, które dotykają zasadniczych obszarów szeroko rozumianej działalności muzycznej, a które powinny być częścią strategii życiowej każdego świadomego muzyka. 1. Wzlot i upadek branży muzycznej oraz jej kondycja w erze epoki cyfrowej i Internetu. 2. Prawa autorskie, umowy i inne prawne kruczki, dzięki którym nie zostaniesz oszukany. 3. Jak wydać płytę bez zaciągania kolejnego kredytu i jak sprawić, żeby taka inwestycja była opłacalna. 4. Jak sprawić, by ludzie zdali sobie sprawę z faktu, że istniejesz, czyli jak trafić do starych i nowych mediów. 5. Jak zarobić na życie, czyli koncerty (kluby, festiwale), nauczanie, pozyskiwanie dotacji oraz sponsorów. Serdecznie zapraszamy na występ znakomitego tria Jachna/Tarwid/Karch. Koncert odbędzie się w ramach Salonu Jazzowego w siedzibie Polskiego Towarzystwa Muzycznego w Pałacu Szustra. Jachna/Tarwid/Karch to najnowszy projekt wybitnego trębacza Wojciecha Jachny oraz dwójki debiutujących młodych muzyków – Grzegorza Tarwida oraz Alberta Karcha. Ich płyta – "Sundial"– jest jednym z najlepiej przyjętych przez krytykę albumów 2014 roku. Muzyka tria sięga głęboko do klasycznych korzeni, ale dzięki ogromnej świadomości współczesnych nurtów u każdego z muzyków, staje się aktualna i przejrzysta. Dokładną strukturę albumu ożywia improwizacja, wciągając słuchacza do świata romantycznej narracji i wielości muzycznych pejzaży. Wojciech Jachna (1976) to uznany trębacz i sideman. W jego dorobku znajduje się przeszło 10 albumów z różnymi wykonawcami, w tym ze słynnym Contemporary Noise Sextet, Sing Sing Penelope, Innercity Esemble, czy duetem Jachna/Buhl. Wiele lat występował u boku Andrzeja Przybielskiego, zwanego często jego nieoficjalnym nauczycielem. Charakterystyczne frazowanie i matowy dzwięk Jachny są szeroko cenione przez muzyków i krytykę. Grzegorz Tarwid (1994), stawiany obok Sebastiana Zawadzkiego czy Kuby Sokołowskiego, jest jednym z najciekawszych pianistów młodego pokolenia w Polsce. Mimo tak młodego wieku, jego pianistykę docenili już - zapraszając do swoich zespołów – chociażby Zbigniew Namysłowski, Kazimierz Jonkisz czy Piotr Rodowicz. Występował w wielu krajach Europy, ostatnio ze Zbigniewem Namysłowskim w Niemczech i na Ukrainie. Na stałe mieszka w Danii. Albert Karch (1993) to student prestiżowego Rytmisk Musikkonservatorium w Kopenhadze. Ceniony za swoją pieczołowitą dbałość o dźwięk. Jako sideman wystąpił do tej pory na 4 albumach w przeróżnych stylistykach, występował na ważnych festiwalach w kilku krajach Europy (m.in. Tete-aTete New Opera Festival, JazzArt Festival, Jazz Jantar). Zainspirowany muzyką klasyczną, gra także na fortepianie i komponuje muzykę kameralną. Dawny uczeń legendy polskiej perkusji, Czesława Bartkowskiego. Jeśli zapytacie nawet nieźle znającą się na polskim jazzie osobę o wymienienie tzw. gigantów polskiego jazzu, to padną może nazwiska Komedy, Stańki, Trzaskowskiego, Seiferta, Kurylewicza, Namysłowskiego itd., ale rzadko albo i wcale Miliana. A jednak, biorąc pod uwagę jego wpływ na rozwój tej muzyki w Polsce, na wszechobecność jego wibrafonu na niezliczonych nagraniach w złotych latach jazzu w Polsce, czyli 60. i 70. ubiegłego wieku, to uważam, że absolutnie zasługuje on, by wymieniać go jednym tchem z największymi luminarzami jazzu w Polsce. Tym większa zasługa Michała Wilczyńskiego z wytwórni GAD Records, który od jakiegoś czasu w niezwykłej serii Jerzy Milian Tapes przypomina nam znane i nieznane dotąd nagrania tego instrumentalisty. Płyta, która trafia do naszych rąk w chwili obecnej, to już czwarta odsłona w tym cyklu i zatytułowana jest "Semiramida". 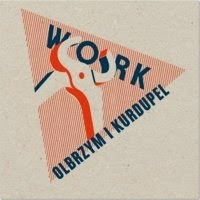 Obejmuje utwory z lat 1966-69 nagrane w trakcie festiwalu Jazz Jamboree w Warszawie z pierwszym własnym zespołem Miliana, w skład którego oprócz lidera grającego na wibrafonie i marimbie wchodzili kontrabasista Jacek Bednarek oraz perkusista Grzegorz Gierłowski. Milian wspomina, że na pomysł stworzenia trio bez instrumentu harmonicznego wpadł po wysłuchaniu debiutanckiego albumu Victora Feldmana nagranego ze Scottem LaFaro i Stanem Levey'em "The Arrival Of Victor Feldman". Dla polskiego jazzu szczęśliwy był to zbieg okoliczności, bo dzięki niemu w 1969 powstał nagrany w tym składzie album "Baazaar", będący jednym z niekwestionowanych arcydzieł naszego jazzu. Tak dobrze rozwijająca się kariera tego trio uległa wtedy niestety przerwaniu i w tym samym roku zakończyło ono działalność. Z mojego punktu widzenia szkoda, że tak się stało, bo ten okres w twórczości Miliana jest mi chyba najbliższy i kiedy porównuję tworzoną wtedy przez niego muzykę z tego czasu z okresem późniejszym, zdominowanym przez współpracę z różnymi orkiestrami rozrywkowymi, to nie mogę się oprzeć wrażeniu, że te starsze nagrania lepiej bronią się przed nieubłaganym upływem czasu. Ale to już rzecz gustu, bo prawdę mówiąc każda z płyt w tej serii warta jest grzechu, nawet jeśli mi osobiście ta podoba się najbardziej, a na niej konkretnie niezrównana "Ballada", której mógłbym słuchać i milion razy. Polecam !!! 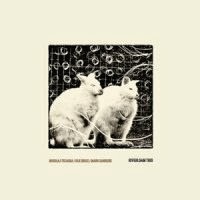 This is the debut album by the US/Polish Improvising Music trio, which consists of saxophonist Rob Brown, cellist Daniel Levin and Polish bassist Jacek Mazurkiewicz. 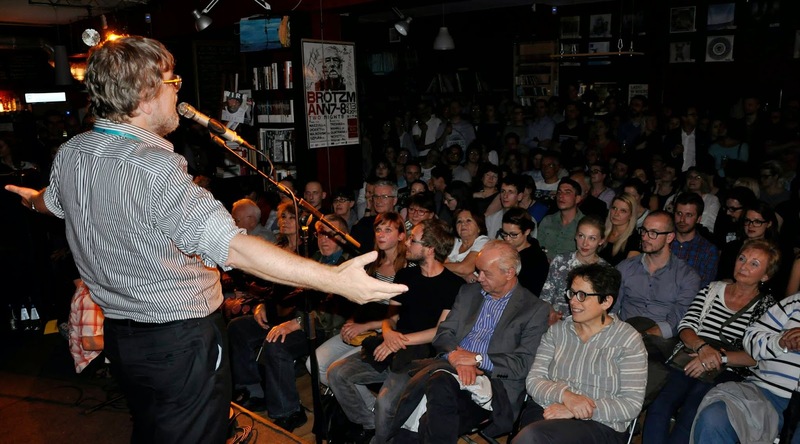 The album was recorded live at three different locations during a Polish tour of the trio and presents eight improvised pieces co-credited to all the trio members. Improvised Music is by its very nature a spur of the moment occurrence and when frozen for posterity by the recording process it very rarely sustains its original meaning and only in exceptional cases turns into a meaningful piece of music, which is worthy of repeated hearing. Sadly the music herein is not one of such rare cases and although it might have been interesting when heard during a live performance, it sounds distant and introvert on record. Although all three participating musicians have a fine list of achievements, and the two Americans have recorded together before, the trio fails to impress. 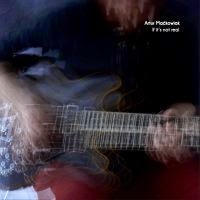 Improvised Music is all about cooperation, without which it sounds like a series of individual statements, which do not merge together and have only one thing in common: the fact that they happened at the same place at the same time, which this album unfortunately tends to sound like most of the time. Of course it is entirely possible that I just don't get this music and am not able to enjoy it, in which case my opinion is completely worthless and selfish. On the other hand perhaps that kind of music making is a completely self-centered activity, which excludes listeners as superfluous? In any case it is up to the listener to decide. 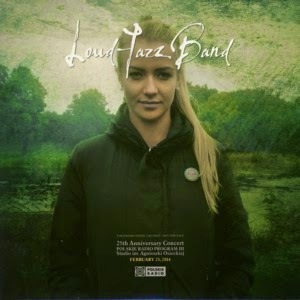 As the title suggests, this is a live recording celebrating the 25th anniversary of the multi-national Jazz-Rock Fusion ensemble called Loud Jazz Band, founded and led by guitarist/composer Mirosław Kaczmarczyk. The octet lineup, which is captured on this video, includes also trombonist Erik Johannessen, saxophonist Wojciech Staroniewicz, pianist Paweł Kaczmarczyk, bassist Sebastian Haugen, drummer Ivan Makedonov, percussionist Maciej Ostromecki and keyboardist Piotr Iwicki. The concert was filmed at the Polish Radio studios in Warsaw and captures the ensemble performing nine original compositions, all by the leader. The music of the Loud Jazz Band is a highly polished, melodic and mostly lyrical Jazz-Rock Fusion, with a well balanced ratio between the more Jazz oriented brass solos and more Rock oriented guitar and keyboard solos, supported by a superbly slick and well oiled rhythm section. The compositions get expanded treatments, which allow for all the ensemble members to show off their chops. The band is obviously one of the best of its kind in Europe, definitely more ambitious and sophisticated than most. It is a real pleasure to watch and hear this band in action, especially in view of the superb solos performed in the duration, which spice the proceedings enormously. On this particular recording the internal balance of the band is somewhat shifted towards Jazz with the addition of the Polish piano superstar Pawel Kaczmarczyk, who proverbially "steals the show" with his extraordinary performances. Of course his presence adds a new level to the entire sound and well being of the ensemble, but his star quality is a magnet of attention. It is quite surprising to hear Kaczmarczyk to handle Jazz-Rock Fusion so well, albeit the fact that this is not his typical milieu. As good as the music of Loud Jazz Band is the actual video is truly disappointing, almost amateurish with a inadequate camera work, which is limited to an open shot view of the band and some primitive close-ups. The sound quality is, however excellent, clear and well balanced. As a result the visual part of the DVD is in fact redundant (as happens in most music DVDs) and this material holds water based on its audible ingredient alone. For Jazz-Rock Fusion fans this is a highly recommended piece of excellent music, which yields nothing but pure delight! Znany koneserom Kuba Stankiewicz raczej nie funkcjonuje w świadomości szerokiej jazzowej publiczności (czy jest taka?) jako muzyk równie znany jak powiedzmy Stańko, Możdżer czy Pawlik (przynajmniej ostatnio i przez 5 minut dzięki nagrodzie Grammy). Debiutował w latach 80. ubiegłego wieku u boku takich mistrzów, jak Zbigniew Namysłowski i Jan Ptaszyn Wróblewski. Edukację muzyczną, jeśli chodzi o jazz, uzupełniał studiując w słynnym amerykańskim Berklee College Of Music. Jego droga przypomina trochę karierę Bogdana Hołowni, zatem nie wykluczam, że działał tu podobny mechanizm: nabyta w czasie edukacji fascynacja klasycznym amerykańskim jazzem, a także - co oczywiste - muzyką klasyczną i polską muzyką popularną, nie tylko jazzową. W rezultacie język Stankiewicza współczesny słuchacz, zwłaszcza młodszego pokolenia, odbierze raczej jako konserwatywny. Ale z drugiej strony nie sposób mu odmówić wspaniałego warsztatu, muzykalności i tego, co wyróżnia artystę spośród rzemieślników, czyli indywidualności. Ów konserwatyzm i indywidualność stanowiące o istocie języka Stankiewicza w tym konkretnym przypadku doprowadziły do powstania wyjątkowej muzyki. Myślę, że dla wielu zwłaszcza młodszych wiekiem krytyków będzie potężnym zaskoczeniem, że płyta, w której nie ma nic innowacyjnego, w której emocje są cały czas pod kontrolą, w której forma muzyki jest ważniejsza niż treść i która oparta jest na doskonale znanych wszystkim schematach, może być tak charyzmatyczna, że po prostu nie sposób się od niej oderwać. Jest to zaskoczenie tym większe, że kilka ostatnich projektów Stankiewicza, nawet tych udanych jak nagrana dla V Records płyta "Kilar", zdawało się potwierdzać tezę, że owszem, Stankiewicz ma warsztat, ale tworzona przez niego muzyka jest zbyt zimna, pozbawiona emocji, chciałoby się powiedzieć, zbyt doskonała, zbyt akademicka. Otóż ja się z taką oceną nie zgadzam, bo chociaż osobiście bardzo cenię w muzyce nowatorstwo i umiejętność - parafrazując tytuł słynnego albumu Lee Morgana - poszukiwania nowych lądów, to wcale nie uważam - jak niestety wielu - że jest to jedyna droga wiodąca do osiągnięcia pożądanego efektu artystycznego. Jest bowiem w jazzie nawet coś ważniejszego, a tym czymś jest pasja, szczerość i uczciwość towarzyszące pragnieniu wyrażenia tego, co woła w czyjeś duszy, by to wypowiedzieć. A wreszcie mistrzostwo w operowaniu instrumentem, które samo w sobie jest ważnym przesłaniem, szczególnie w dzisiejszych neobarbarzyńskich czasach. Byłoby to niemożliwe bez wsparcia dwóch muzyków towarzyszących Stankiewiczowi na tym albumie, czyli światowej renomy amerykańskiego perkusisty Petera Erskine'a i polskiego kontrabasisty Darka Oleszkiewicza, podobnie jak Stankiewicz pochodzącego z Wrocławia, ale od wielu lat mieszkającego w Los Angeles i grającego w Ameryce u boku najlepszych, w tym samego Brada Mehldaua. To wirtuozi najwyższej klasy, jaką sobie można w jazzie wyobrazić, dzięki czemu słuchanie tej płyty nie tylko dla każdego audiofila czy słuchacza wychowanego na muzyce klasycznej, ale dla każdego kto ma dwoje uszu nie od parady, jest niczym mniej niż jedną wielką rozkoszą. Każdy dźwięk wybrzmiewa jak należy, z nie do opisania czystością, selektywnością, przywracając blask troszkę jakby ostatnio zapomnianemu, lecz odwiecznemu pojęciu harmonii. Wreszcie te wszystkie cudeńka byłyby niemożliwe bez muzyki Victora Younga, którą w amerykańskim jazzowym śpiewniku postawić należy obok muzyki takiego choćby George'a Gershwina czy Irvinga Berlina. Co ciekawe Young był z pochodzenia polskim Żydem wykształconym w warszawskim konserwatorium przed I wojną światową, co zarówno Stankiewicz, jak i autor doskonałego tekstu towarzyszącego płycie Adam Baruch przypominają wielokrotnie, a o czym przecież co bardziej przytomni z krytyków i słuchaczy w Polsce nigdy nie zapomnieli. Na płycie Stankiewicz śledzi polskie ślady w muzyce Younga, sięgające do dzieł jego zapomnianego w Polsce nauczyciela Romana Statkowskiego (mamy nawet jeden utwór jego pióra nagrany na płycie). I to właśnie stanowi o oryginalności tego przedsięwzięcia, bo Young brzmi tu zupełnie inaczej niż w innych, niezliczonych już przecież, interpretacjach. Jakby odarte z całego hollywoodzkiego blichtru Stankiewicz, Erskine i Oleszkiewicz interpretują tak dobrze wszystkim znane piosenki, jak "Stella By Starlight", "Beautiful Love" i wiele innych przez pryzmat typowo słowiańskiej rzewności. Dziwnie brzmi zatem o amerykańskiej prowieniencji na polską, romantyczną nutę zagrany jazzowy smętek, stanowiący przy okazji jeszcze jeden dowód na budzący zdumienie renesans przerwanych przez dziesięciolecia nienawiści, wojnę i marcowe wypędzenia relacji polsko-żydowskich. Krótko mówiąc, warto posłuchać po stokroć i mocny kandydat do jednego z najpiękniejszych albumów roku! Po wydaniu zeszłorocznej "II" w składzie Innercity Ensemble oraz po eksperymentach dźwiękowych z Grzegorzem Pleszyńskim, Artur Maćkowiak wykorzystał twórczą energię na nagranie kolejnej solowej płyty, zaskakując przy tym słuchaczy ogromną woltą artystyczną. Do tej pory autorskie albumy muzyka przybierały formę swobodnej impresji zaaranżowanej na kręgosłupie gitarowej ornamentacji. Na tym tle "If It's Not Real" okazuje się być materiałem bardzo konkretnym, wymagającym od autora czegoś więcej niż puszczenia się w wir improwizacji. Na nowej płycie struktura, tematy, dramaturgia zostały rozbudowane i dopracowane z kompozytorskim pietyzmem, a impresja pojawia się jedynie w formie pojedynczych ścieżek. Punktem wyjścia jest tutaj repetycja, wpływająca zarówno na transowość materiału, jak i jego eteryczność. Zapętlone frazy gitary i towarzyszących jej syntezatorów, natchnione mocnymi motywami melodycznymi, piętrzą gęste faktury dźwiękowe, generują zjawiskowe polifonie oraz nadają utworom hipnotycznego rytmu, napędzającego fabułę. Kiedy struktura kompozycji wydaje się już na tyle gęsta i spiętrzona, Maćkowiak pobudza ją efektowną ścianą zgiełku ("Some Sort Of Trouble") albo trzyma w zanadrzu melodyjny motyw, który sprawia, że muzyczna esencja utworu nabiera drugiego życia, zostając w pamięci jako zjawiskowy lejtmotyw. Jeśli i tego jest mało, by dostrzec niezwykłą kreatywność autora, to sięga on jeszcze w dwóch momentach po Tomasza Gadeckiego, który chropowatym saksofonem ekspresyjnie puentuje kompozycje. Trudno byłoby mi wskazać jakiekolwiek słabsze fragmenty omawianej płyty, solówka Maćkowiaka jest bowiem aż nasycona unikalnymi motywami, które świadczą o nietuzinkowym wyczuciu klimatu i dramaturgi. Niemal każdy utwór posiada rys, który nadaje mu ponadczasowego charakteru. Tak jest w "Some Sort Of Trouble", gdzie na fundamencie gitarowych ścieżek rozlega się reichowska repetycja syntezatorowego motywu. Podobne zjawiskowe uniesienia i niespodzianki czekają nas m.in. w "Float On My Red Eyes" - w postaci generowanych, etnicznych piszczałek; "Where Are You Mr Alcando?" - gdzie w drugiej połowie utworu pojawia się transowa pętla klawiszy, czy w "Up Ahead", gdzie "danceflorowy" motyw głównego loopa, przesterowane, sfuzzowane gitary oraz free jazzowy saksofon Gadeckiego współtworzą ze sobą psychodeliczny spektakl. Trudno oprzeć się wrażeniu, że to jak dotąd opus magnum w karierze Maćkowiaka. Sięgnął on bowiem z premedytacją po wszystkie wątki, jakie przewinęły się przez kilkanaście lat jego muzycznej działalności. Stworzył materiał ze szczątków estetyk i wykorzystał do zbudowania niezwykle eklektycznej, a przy tym szalenie spójnej koncepcji. Spotykają się tu echa minimal music, krautrockowy nerw, szczypta free jazzu, nieziemskie krajobrazy koschmiche music, smakowita elektronika, gitarowa muzyka improwizowana oraz post-rockowe konteksty Something Like Elvis, czy Potty Umbrella ("Windy Song"). Nie można pominąć również faktu, że bez produkcji Michała Kupicza "If It's Not Real" nie posiadałaby aż tak ogromnej siły oddziaływania. Wąska selektywność, przytłumione brzmienia instrumentów, analogowy szum, wysunięcie na pierwszy plan tonów średnich w wymarzony sposób zostały dostrojone do częstotliwości gitary i syntezatorów, tworząc osobliwą materią dźwiękową płyty. W konsekwencji nowa płyta Maćkowiaka jest znakomitą wizytówką bydgoskiej sceny, zgromadzonej wokół kolektywu Milieu L'Acéphale. Były muzyk Something Like Elvis i Potty Umbrella, doskonale ilustruje swoimi nagraniami ideę brutalizmu magicznego, nagrywając przy tym swoją jak dotąd najlepszą płytę. Płyta "Aura" wydana nakładem wytwórni OKeh Records będzie miała swoją światową premierę 14 kwietnia 2015. Tym samym RGG po 15 latach swojej aktywności dołączy do grona polskich artystów o międzynarodowym potencjale wydawniczym. Artystami zrzeszonymi w wytwórni sygnowanej logiem OKeh oprócz RGG są: Sonny Rollins, Dave Holland, Bill Frisell, Dhafer Youssef, Nils Peter Molvaer, David Sanborn, John Medeski, Michel Camilo, Jeff Ballard i The Bad Plus. Artyści - ambasadorzy muzyki o osobowościach, które w znaczącym stopniu wpłynęły na rozwój idiomu jazzowego we współczesnej kulturze muzycznej świata. „Muzyka RGG jest muzyką dla odbiorców aktywnych” – tak sami członkowie zespołu charakteryzują swoją twórczość. I rzeczywiście – muzyka RGG sprawia najwięcej przyjemności wtedy, kiedy zaangażujemy się w jej słuchanie. Dopiero wówczas otwierają się przed nami krajobrazy wyczarowane przez to niezwykłe fortepianowe trio. Niezwykłe, gdyż przez 15 lat istnienia udało mu się stworzyć własny, niepowtarzalny styl. Nie słuchamy fortepianu z towarzyszącą mu sekcją rytmiczną, ale trzech równouprawnionych muzyków, wspólnie snujących jedną muzyczną opowieść. Najnowsza, płyta zespołu zatytułowana „AURA” zawiera wyjątkowe interpretacje znanych już utworów (jedną z nich zaaprobował osobiście Peter Gabriel! ), a także oryginalne kompozycje zespołu. To synteza dotychczasowych doświadczeń tria, a jednocześnie krok w nowym kierunku. Pomogło w tym otwarcie się muzyków na inspiracje płynące z różnych światów: muzyki sakralnej, klasycznej i popularnej. Wszystko w całość wiąże tytułowa „aura”, wprowadzająca słuchacza w niepowtarzalny nastrój. 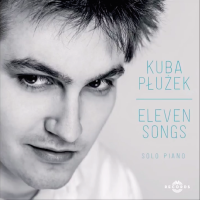 This is the second album by young Polish Jazz pianist/composer Kuba Płużek and his first solo piano outing. It presents, as the title suggests, eleven "songs", or rather compositions, treated in a very melodic way, two of which are his own compositions and the remaining nine are by Polish (Zbigniew Wegehaupt, Andrzej Kurylewicz) and other (Brad Mehldau, Michel Petrucciani, Dave Holland) Jazz musicians/composers or by non-Jazz cinematic composers (Hans Zimmer, Luis Bacalov). From the very first notes of this album it becomes immediately apparent that Pluzek justifies all the high hopes expressed as a result of his debut album a couple of years earlier. His technique and touch are completely fluid and seamless, which is quite exceptional at his age. His choice of material seems to be no less intelligent and sophisticated than the actual performance, creating a roundness and sense of continuity, which only a few solo piano albums are able to achieve. The piano playing style Pluzek utilizes on this album is based on extended continuous left hand arpeggios and the right hand stating the melody lines and chord progressions, which is somewhat similar to early Keith Jarrett solo piano work, and is equally effective. His ability to play around with the tempi and producing a wide range of dynamic shifts is also impressive. But beyond the technical facets of his playing, Pluzek expresses a beautiful lyricism and romance, which only the greatest piano players are blessed with. His interpretation of the classic ballad "Danny Boy", which has been performed countless times before, is a case in point. The entire experience of listening to this album is full of straightforward joy of music and of life, a rare moment of pure pleasure, which leaves the listener relaxed and deeply satisfied once the journey is over. Although this is one of the first Polish Jazz albums of 2015, it is already pretty sure to become one of the contenders of the annual competition of top albums for this year. Definitely a commendable successor to the exceptional debut, this album is everything a piano solo album is supposed to be – a spiritual experience! 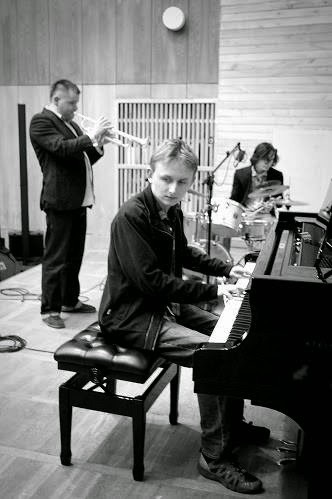 This is the debut album by young Polish Jazz pianist/composer/bandleader Nikola Kolodziejczyk, recorded by a twenty five piece orchestra, with members who originate from three different countries, which presents a five-part suite, which in turn is a hybrid of contemporary Classical music, classic mainstream Big Band and Free Jazz/Improvised music. There is no doubt that this is a very ambitious project, brought into reality against all odds and one that refuses to compromise and takes no prisoners. Although highly motivated and certainly ingenious, this project is not quite as revolutionary or innovative as one might imagine. In fact it continues the European orchestral Jazz tradition, which followed a different path from the American orchestral Jazz tradition, which flourished in the US in the early 20th Century and was than imported into Europe and mimicked for a few decades until the emancipation of the European Jazz in the 1960s. Since than a long line of superb European Jazz orchestras carried the torch towards new horizons, starting with the British orchestras led by Neil Ardley, Michael Gibbs, Mike Westbrook and many others and than gradually spread across Europe and even behind the Iron Curtain, with such notable bandleaders as Gunter Hampel, Hans Koller, Martial Solal, Gustav Brom and such distinguished ensembles as the NDR Big Band, the Vienna Art Orchestra and so many others. Many of these European Jazz orchestras often use similar characteristic devices to those used in the process of making the music heard on this album: switching between melodic mainstream Big Band parts and freely improvised passages, using string arrangements and wordless human vocalese, in short the typical palette of contemporary European Jazz orchestral music. Considering Kołodziejczyk's age, limited experience, restricted resources and all the obstacles that he had to confront in order to record this album, one must admit that this is a remarkable achievement, not only from the aesthetic perspective but also from the pure organizational one. But of course most listeners are not really interested in the behind the scenes of music making and judge it by what they hear. As far as the music is concerned, Kolodziejczyk presents a collection of sonic plateaus, which intertwine and develop slowly, and are best listened to in the sequence dictated by the album's tracks and as a whole. The separate parts of the suite do not really stand on their own, as the melodic content of the entire proceedings is relatively limited. To use a metaphor from a different media, the suite makes sense the same way a complete canvas of a painting makes sense, and wouldn't do so if looked at when sliced into several pieces. At times one might get the impression that this music is more about "how" than about "what". Kolodziejczyk is obviously enamored with the bag of tricks that are at his disposal as a composer orchestrator, and with the sound of the orchestra, much more than with the actual compositions, and as a result we get a complex baroque musical structure, supported by quite simple foundations. Sometimes the instinctive urge to show as much of one's talents as possible, here and now, can prove hazardous. This often happens to young and talented artists and is quite meaningless in a long range, provided that Kolodziejczyk is treating this project as just one of many lessons he has to go through during his long and hopefully very successful career. All in all this is a very impressive, ambitious and unusual debut album by an obviously talented musician/composer, who presents enormous potential, which hopefully will be fully realized in his future projects. 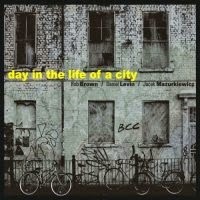 Since orchestral Jazz albums are extremely rare, this is even more of a valuable contribution to the Polish Jazz scene. Thanks to For Tune for finally releasing this album, over three years after it was recorded, it's certainly better off now in the open for all music lovers to enjoy. I am anxiously waiting for the next project. 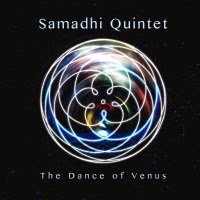 This is the debut album by the British Jazz ensemble called Samadhi Quintet, led by drummer/composer Sam Gardner, which also includes Polish (resident in UK) saxophonist Krzysztof Urbanski, pianist Dominic J. Marshall, bassist Sam Vicary and percussionist Sam Bell. The album presents eight compositions, seven of which are originals composed by the leader and one is a contemporary Pop song. From the very start of this album it is immediately noticeable that although this is a modern mainstream Jazz, there is something very different here, which of course turns out to be the rhythmic approach used herein, which completely deserts the regular Jazz meters and dances around a utterly insane mixture of odd meters, originating in Latin and Indian patterns, which can be very confusing to a novice listener. The fact that the entire quintet is able to work within this unusual rhythmic environment is simply amazing, as listening to it is hard enough, not to mention playing it, which surely is challenging enough. But once the listener gets into the unusual rhythms and flows with them, he is about to discover a world of beautiful melodic themes, which are enchanting and lyrical. The superbly created tension between the melodic layer and the rhythmic layer on this album is truly marvelous and qualifies as some of the most interesting approaches and explorations I came across since quite a while. Both Urbanski and Marshall perform splendidly throughout, the saxophonist weaving his seductive sweetness and the pianist sending waves of tonal streams floating, both of them managing to keep perfectly in synch with the rhythm section banging its outlandish punctuations. The bassist, who serves as the mediator between the melodic parts and the rhythmic barrage, is the "responsible grownup", keeping the whole fête swinging. In short this is one hell of a debut album, which not only presents some great music but also manages to surprise, innovate and make your body do some mighty strange moves, which surely does not happen every day. Play it again, Sam! I was very enthusiastic about the last album by the duo ("Six philosophical games"), an album that was really fun to listen to and above all one that made me want more! When I received this CD and listened to the first 10-15 minutes, I switched it off and didn't put it on for almost two weeks. I simply was disappointed! After those 2 weeks I've once again ventured, simply because I could not believe that Tomek Gadecki and Marcin Bożek could create something that I really wouldn't like. So I waited for a moment when I really felt like listening to their music and I was bound and determined to listen until the end this time ... and it was worth it. I'm still not particularly fond of the first two pieces, in particular Part I is just too bulky. It reveals itself only with great difficulty. And not only because of the length, but also because of the many substantive motive changes, those come along more like several independent pieces put together into one. As presented here Part I clearly seems too long. It also seems at the first listening of Part I and II as if the two do not as closely interact with each other as they could, there are many more solo parts - in Part II Marcin Bożek steps in to the background so much that I initially thought this is a solo part for saxophone. Undeniably, every piece shows their technical brilliance, their uniqueness as a duo unfortunately emerges only from Part III onward though. In Part III their rhythmic interplay is much more intense - a powerful inferno! This part or the following one would be my recommendations as a first listening. Part IV sounds almost filigree compared to Part III, with finely nuanced breaks, showing how close the interplay between the two is after all. This is also reflected in the two following Parts: Part V, the petite elegy giving the listener time to take a deep breath and dream a bit, and Part VI, the almost serene end which finally reconciled me with this album and showed me that the two are not only having fun for themselves, but also give it to the listener. Overall, beginning with Part III the album is even more catchy than its predecessor - if only the entry wouldn’t be so difficult. In Parts I and II two soloists shine at the highest level, but only from Part III onward two congenial musicians play together as a duo! So my conclusion is somewhat mixed, but I’d still say this is a very good album! It should be mentioned that this is a live recording from February, 24th 2013 taken in the "Alchemia" club in Krakow and that concert is even as a video in parts. The section below shows that Tomek Gadecki and Marcin Bożek offer an extraordinary live experience - and I would most likely have enjoyed the first two parts much better, if I had been on the spot. Very often in Free Jazz the music only reveals its full potential live, so have a look for yourself.